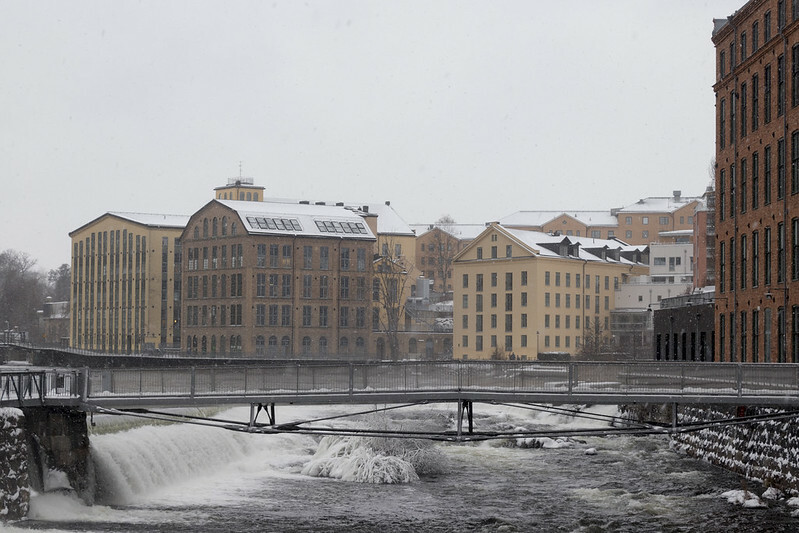 The old industrial landscape in Norrköping. The buildings on the other side of Motala Ström were part of Drags Fabriker for more than 300 years. The buildings must have employed lots of people back in the day. I like this view too. That is a good view.